The 2018 WRC season was the most exciting and dramatic in a generation. A compelling season-long battle between three drivers was finally resolved on the last morning of the season at Kennards Hire Rally Australia. 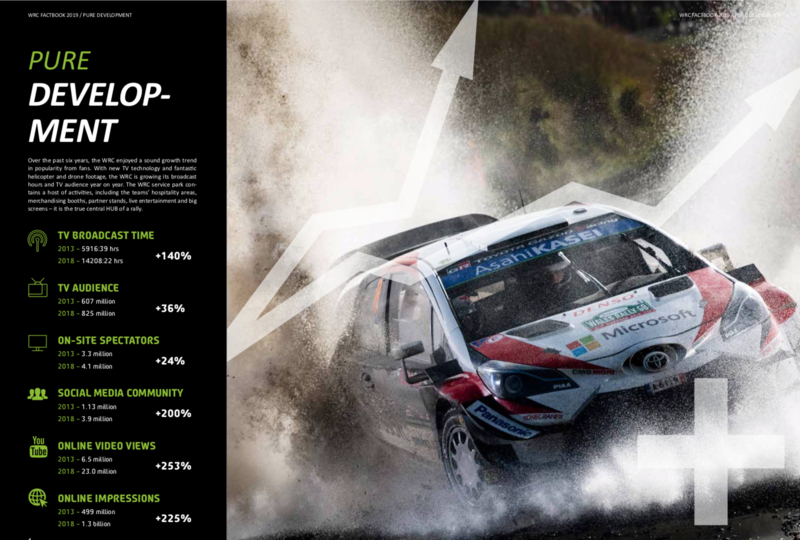 Alongside the drama on-stage, the WRC grew enormously in many other areas – boosting its broadcast and digital TV audiences plus its social media following, adding Turkey to its schedule and setting the scene for more new events, welcoming new commercial partners and introducing other fan-friendly innovations. As you settle in to enjoy 2019, read all about the world’s most exciting motorsport championship in the annual official WRC Factbook.